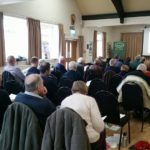 The Register’s Annual General Meeting was held on 16 March at Beoley Village Hall, Worcestershire. Approximately 35 Members enjoyed a light buffet and the opportunity to chat and browse the Regalia and Publications stalls before the meeting began. Copies of the minutes of the meeting can be obtained from the Secretary, but below is a summary of key points. Wolseley 25 Drop Head Coupe Profile has been published. The Chairman then thanked the committee and team members for their work. The Treasurer introduced the accounts which were approved by the meeting. 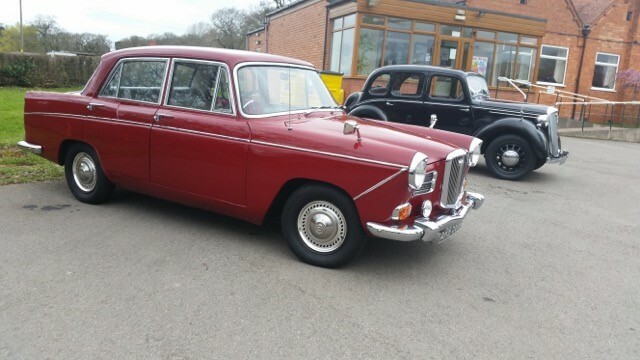 Other officers reported on Spares, Regalia and the Club’s short-listing in The National Car Club Awards: for ‘Outstanding Car Club Run, Rally or Tour’. The awards were due to take place on 23 March at the NEC Restoration Show. Following the death of David Allen at the end of December, Geoff Craggs was conferred the honour of Life President which he humbly accepted. A collection in memory of David Allen was taken. Including voting for the contested post of Deputy Chairman, the meeting elected five core management committee posts: Chairman, Deputy Chairman, Secretary, Treasurer and Membership Secretary. A vote of thanks was given to the outgoing Chairman, Clive Button. Colin Briggs is the new club Chairman, with Graham Ryder as Deputy Chairman. Around 35 co-options to various posts, including Technical Advisers, were noted. Andy Plummer was introduced as the new Vintage and Veteran Technical Adviser. Ernest Jones had taken over the role of South & West Wales Regional Representative. The Publicity and Press Liaison Officer summarised the many Wolseley anniversaries the Register is celebrating during 2019. 2 Wolseleys attended the AGM! After the conclusion of the formal business, the members who are due to receive long membership awards this year were announced, including three more who will reach 50 years’ membership in 2019. 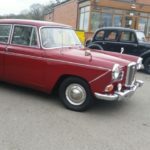 The John H. Brindley memorial award was also presented to the Member who had recorded the highest mileage in his Wolseley during 2018. 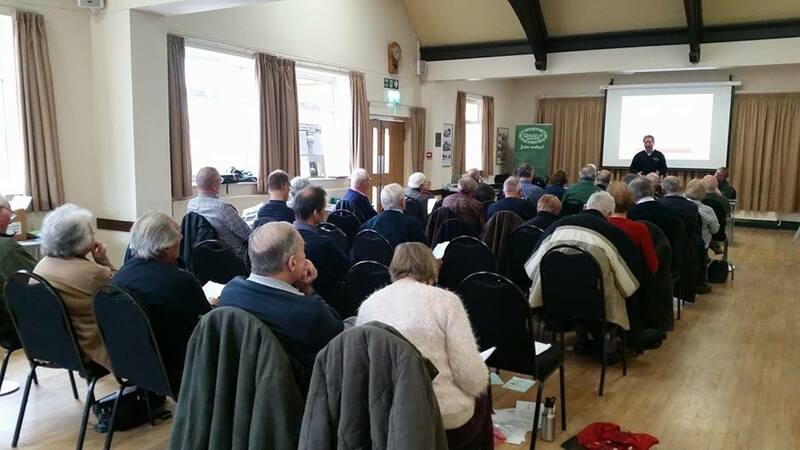 The guest speaker was Register Member, Anders Clausager who gave a talk on his work with the Wolseley Records held in the British Motor Industry Heritage Trust Archives.